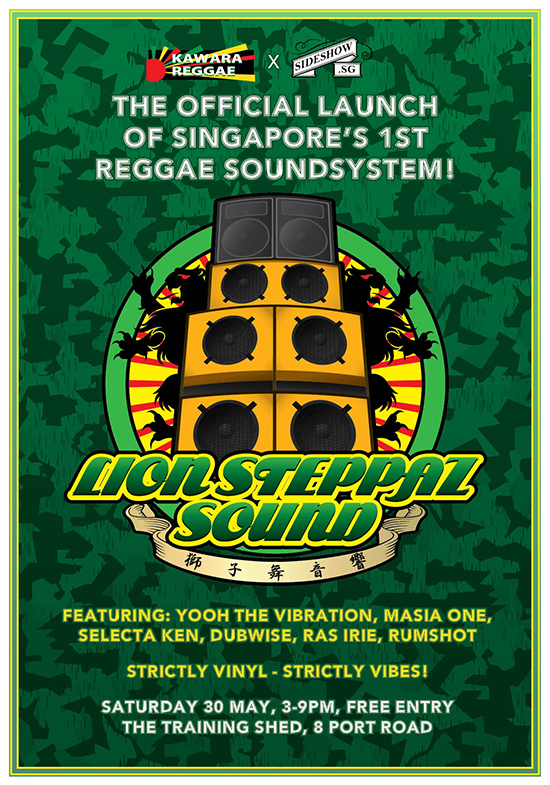 Join us at the Training Shed as we debut Singapore’s first hand-built reggae sound system – LION STEPPAZ SOUND. 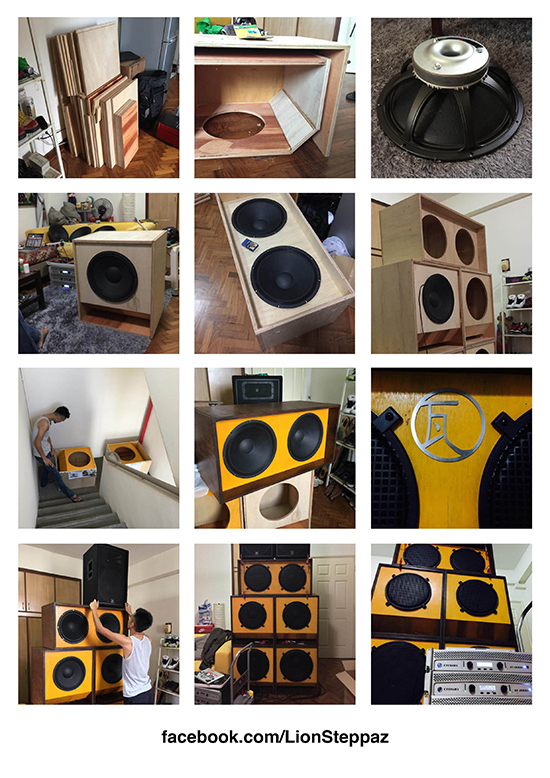 An all-vinyl affair with selectas and deejays from Kawara Reggae, Dubwise, Singapura Dub Club and Dub Skank’in Hifi – expect reggae, dub, ska, rocksteady, lovers rock, roots, dancehall and tons of BASS! Family-friendly and free! The party starts at 3pm – get down early to enjoy the sunshine vibes. No outside food and drinks please. Support the artists by purchasing only from the Training Shed bar.